The College of Liberal Arts and Sciences’ graduating class of 2015 has benefited from the breadth and depth of its professors and lecturers. At the end of the academic year, the college honors and recognizes its faculty for quality teaching. The college also honored Joanne Rondilla, lecturer at the School of Social Transformation, with the CLAS Outstanding Lecturer Award. Prior joined the Department of English in 2011 after obtaining his doctorate in second language acquisition at the University of Hawaii. He teaches a variety of graduate courses and serves on several committees and projects in the department. Prior said that his teaching objectives revolve around inspiring and motivating students, engaging with alternative ways of learning and knowing, and cultivating professional development. “[Prior's] commitments to his colleagues and students have already begun to pay large dividends for everyone who comes into contact with this superb mentor, scholar and teacher," said Mark Lussier, chair of the Department of English. “Dr. Prior stood out to me from any other professors I have had because he makes it clear, from the first day of class, that he is here to assist us students in succeeding not just in his class, but also in the world, as best he can,” shared ASU senior Stephany Caballero. Semken has worked at ASU since 2007 but he joined the School of Earth and Space Exploration in 2009. He also works as deputy director for education and outreach at the National Science Foundation EarthScope Project National Office. He teaches classes ranging from introductory courses to graduate. For Semken, context plays a huge role in his teaching philosophy. "I will continue to draw on my education research program to inform and enhance my teaching, and I intend always to teach with unflagging, contagious enthusiasm for my discipline, and with sincere respect for all of my students,” he said. “He is among our most dedicated faculty who passionately delivers on the fundamental values of place-based education, both in the classroom and nationally. We are very fortunate to have his leadership and high profile,” said Linda Elkins-Tanton, director of the School of Earth and Space Exploration. “I feel so honored to have had, and continue to have, the opportunity to learn from Dr. Semken. Students remember the professors that touched them the most, through their inspirational teaching as well as their guidance and mentorship, for the rest of their lives. Dr. Semken is one of those very, very few professors for me,” said doctoral candidate Mary Schultz. Spinrad began working at ASU in 1997 and joined the T. Denny Sanford School of Social and Family Dynamics in 2000 as an assistant professor. Spinrad said her first-year professor inspired her to pursue an academic path, and she hopes to inspire her students as well. She serves on a number of committees and has helped with more than 20 research publications. Her goal is for students to apply lessons to their own experiences and career goals. “I believe that students benefit by taking a 'hands-on' approach to their studies, and I strive to create an environment in which students are actively involved in their learning,” she said. “[Spinrad] is one of the special scholars who is able to integrate her research and teaching, and provide instruction in her classes and in her research projects. She prides herself in taking a strong mentoring role in helping her students understand the research process, in bettering themselves and in facilitating their professional development,” said Richard Fabes, director of the Sanford School. “I have not known a professor to exert such incredible effort in her commitment to see students thrive in their academic potential. Based on Dr. Spinrad’s outstanding communication skills, her fervor for sharing in her research and knowledge, her initiative for diversity in collaboration and her inspiring mentorship in expanding learning, I have no doubt that she is more than deserving of an award that honors her as a truly exceptional educator,” said ASU graduate Elizabeth Hardin. In 2011, Rondilla joined the Asian Pacific American Studies in the School of Social Transformation. Previously she was an instructor at the University of Berkeley. 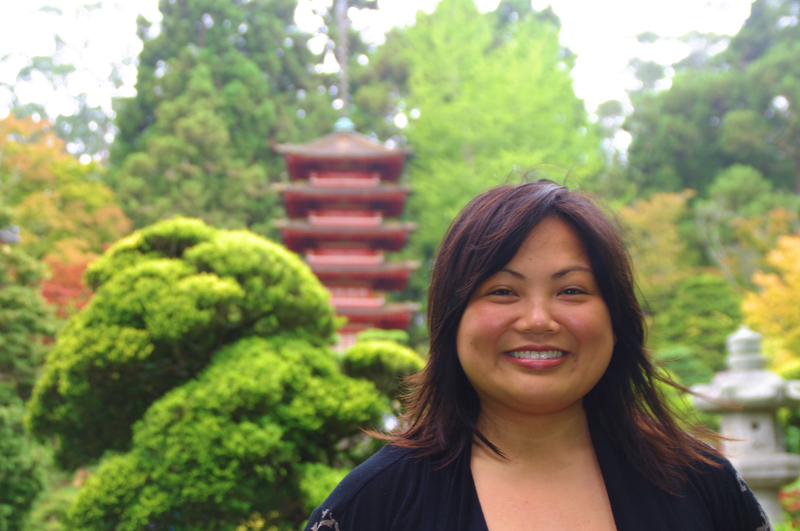 Since being at ASU, she has helped with the redesign of the curriculum for the Asian Pacific American Studies program. Rondilla said she incorporates relevant material through Youtube or Twitter to show how history still applies to today. “Dr. Rondilla has contributed greatly to the ongoing success of ASU students who have taken her courses – even those who have already completed her courses,” said Karen Leong, associate professor of Women and Gender Studies and Asian Pacific American Studies. “Professor Rondilla is a rare jewel among the ASU faculty, and she outshines them all in every single aspect. What ultimately makes her stand out is her ability to impact and literally change your entire perspective of life for the better. Not every educator can come into a student’s life and revolutionize their education, cultural competency and viewpoints like professor Rondilla did for me and many other students within a single semester,” said ASU sophomore Celina Wang. 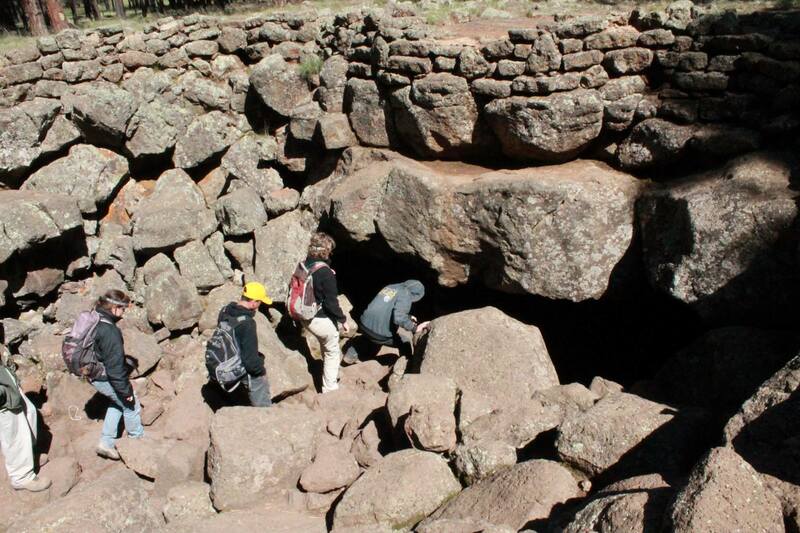 ASU senior Katherine Sheppard is studying lava flows from Lassen volcanoes, which are volcanoes in northern California, to understand how they form in the Earth's mantel. Despite having research experience, Katherine Sheppard, an earth and space exploration student with a focus in geological sciences, said she wasn’t sure if she was capable of her career goals because the work is technical and difficult. As a senior, Sheppard is looking at graduate school as the next step toward earning her doctorate in geochemistry or igneous petrology, which is the study of igneous rocks. She had trouble at first narrowing a niche down, but she feels more confident in her decision to pursue igneous petrology because of her past experiences at ASU. “I was able to do that with all research opportunities because I got to do a lot of things and decide what was cool and what I’d want to do,” Sheppard said. Christy Till, an assistant professor at the school, also said Sheppard has performed at levels beyond her current education. Till, Sheppard’s honors thesis director, said she believes Sheppard’s research will be published in a journal in the future. Sheppard is studying lava flows from Lassen volcanoes, which are volcanoes in northern California, to understand how they form in the Earth’s mantel. This will help people understand how and why these volcanoes form where they do. After switching majors within the School of Earth and Space Exploration, Sheppard took a freshman-year honors seminar course taught by former geology professor Achim Hermann. When she went to his office to talk about a paper, they ended up talking about his research. She worked with him in the Keck Lab on environmental geochemistry as a freshman and sophomore. She said she liked being able to experience what it’s like to read results of research rather than conducting research. “The sooner you get that experience, the better you adjust yourself to the expectations of what it’s actually like,” Sheppard said. Sheppard also spent time working in the Secondary Ion Mass Spectrometry Lab at ASU during her junior and senior year. The lab is utilized by geoscience researchers to analyze the ion source design in various materials. Richard Hervig, a professor at the school, had asked her to work there after seeing her involvement in his class and her term paper. In between all of her studies, Sheppard was involved with different student organizations. She is president of the ASU GeoClub, and she helps organize and raise money for trips to different sites. She also was involved with the ASU Quidditch team, the sport described in the Harry Potter series. She had to stop and prioritize time for her thesis over the sport, she said. Sheppard said prioritizing helped her throughout her college experience; however, that didn’t mean she always put school work first. “If you’re becoming miserable studying, sometimes you have to stop studying and do something else,” Sheppard said. “I’m a big proponent of doing something else."